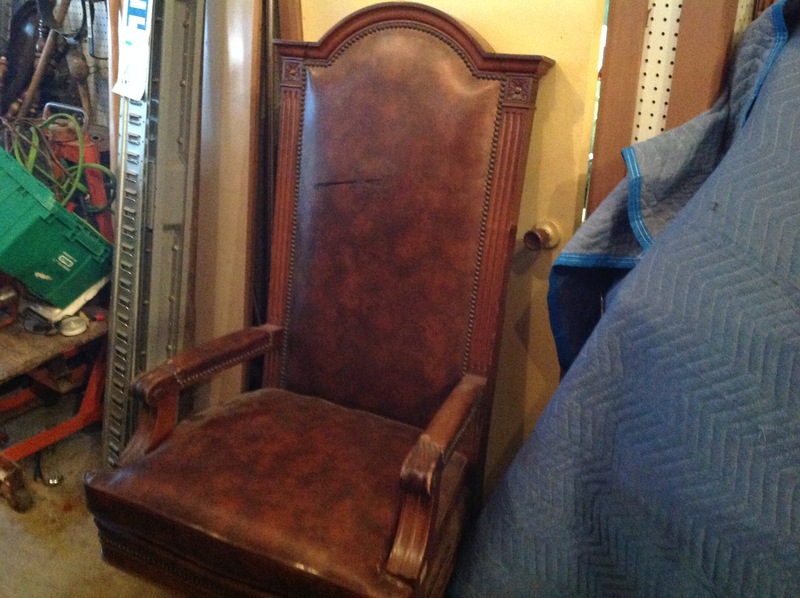 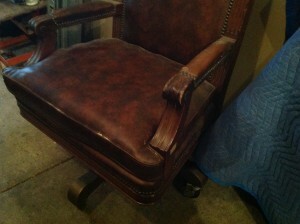 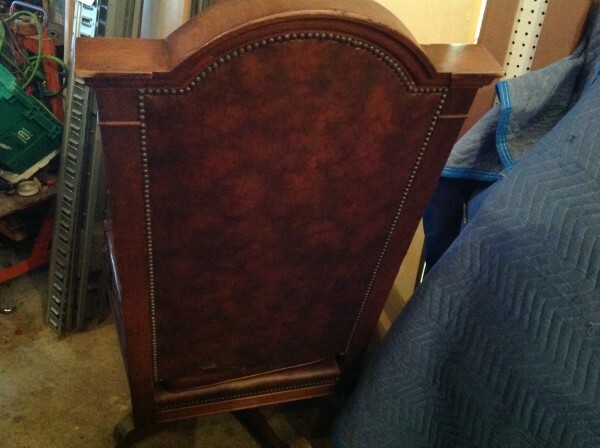 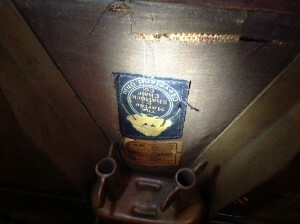 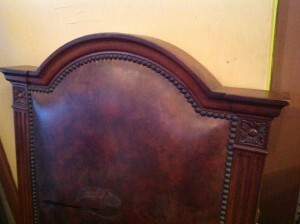 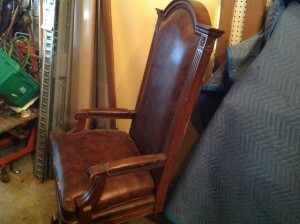 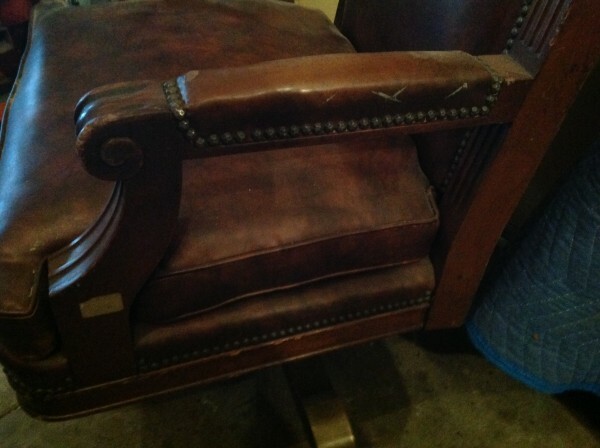 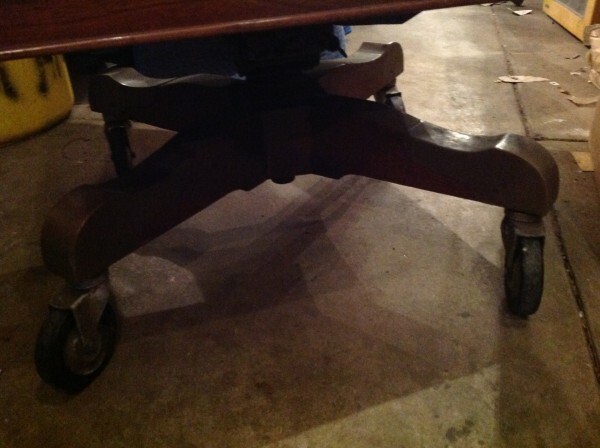 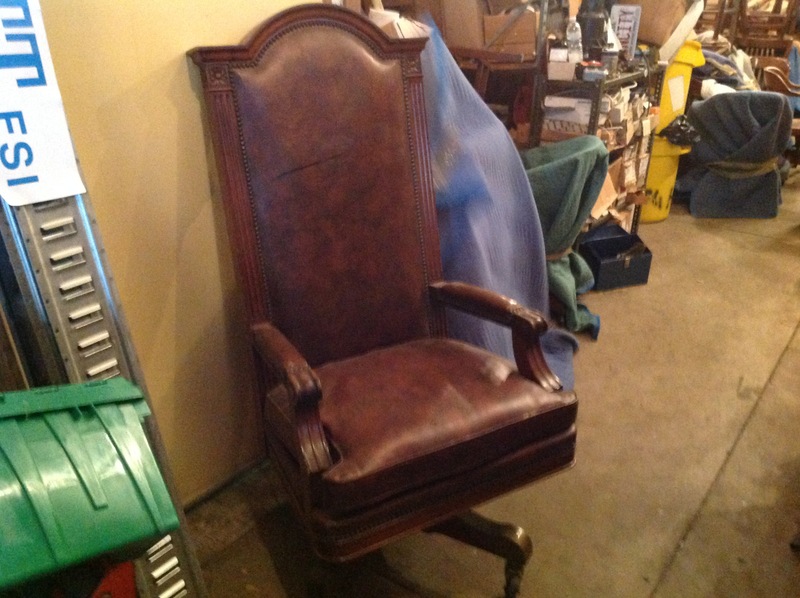 Vintage Marble and Shattuck courtroom Judge’s chair in as found condition. 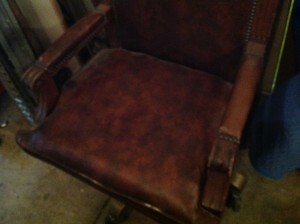 Well used with rubs and scratches but otherwise in good shape. 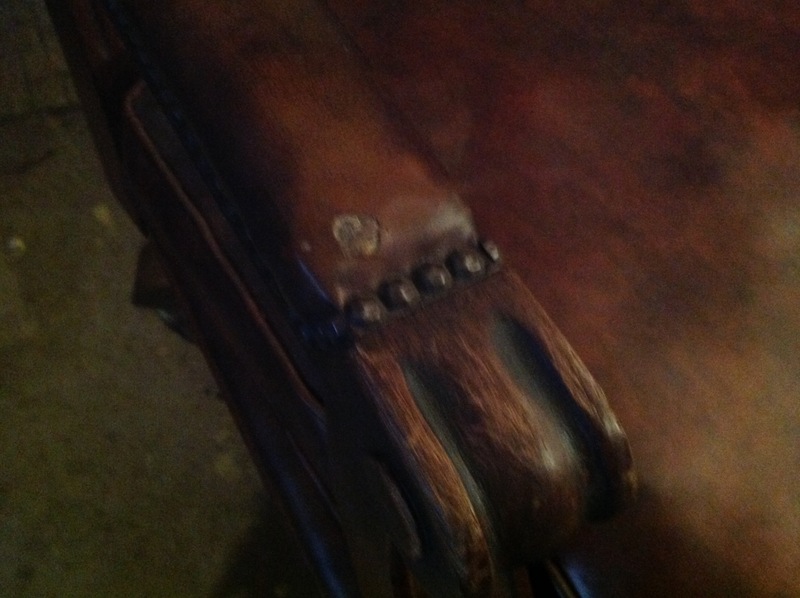 Branded with makers mark on bottom of chair. 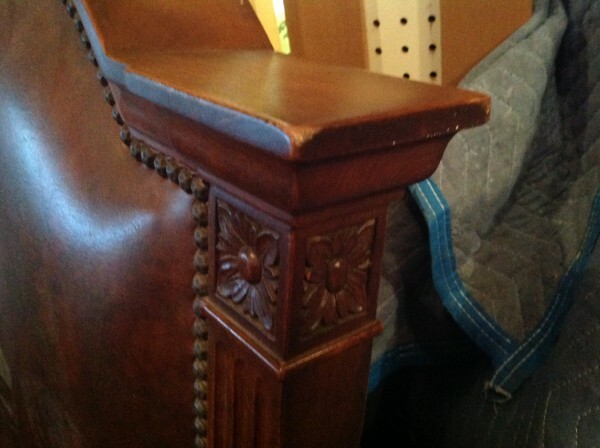 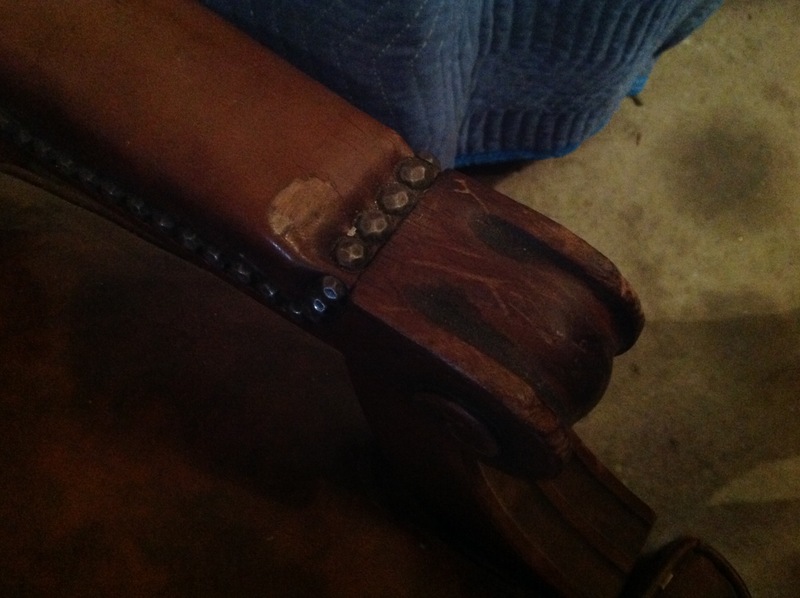 With a little refinishing this chair would look good in any office……….